At Eurotech Auto Service in New Brighton and Woodbury, MN, we believe in more than just your standard auto repair. At our Audi repair shops, we offer not only the highest quality repairs and unmatched customer service but an array of amenities and benefits just for coming into our shop. We provide an amazing 3 year or 36,000 mile warranty on repairs and services - the best in the industry! Along with our amazing warranty, we also offer a free local shuttle service, a comfortable waiting area, a play area for kids, free wifi in our customer lounge, and loaner vehicles available when needed. When you bring your Audi into Eurotech, you’ll receive quality and trusted repairs along with friendly customer service. It’s no secret that our shops in New Brighton and Woodbury, MN staff the top experts in European auto care. Our mechanics are ASE certified and are constantly educated on new technology and practices to keep up with the latest trends to best service your vehicle. Our services range from major repairs, including engine and transmission repairs, to regular maintenance such as tune-ups and oil service. We have the factory tools for diagnostics, resetting service intervals and are able to perform key programming. For vehicles that have direct injection, Eurotech offers walnut blasting to take care of the carbon buildup that is common on those engines. Eurotech also offers Unitronic software programming for later model Audi’s/VW’s if you’re looking for a performance boost! When it comes to repairing and servicing a luxury vehicle, the best quality tools and equipment is necessary. At our Audi auto repair shops, we have the latest diagnostic scan tools and newest equipment to treat your vehicle with care. We use only OEM or better parts and ensure that your Audi is always running in the best condition possible when it leaves our shops. 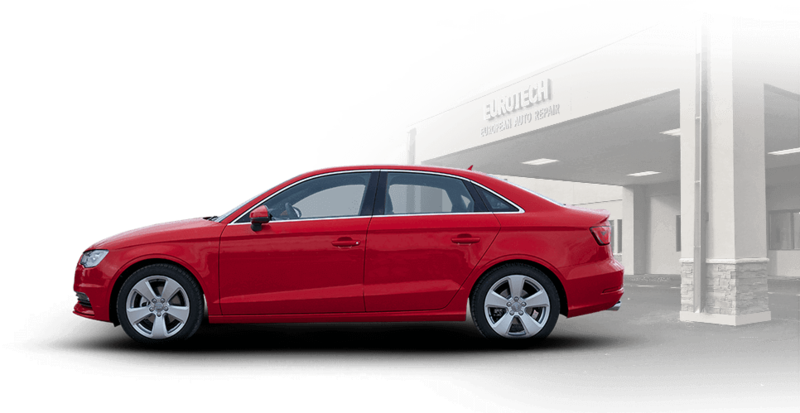 If your Audi needs a repair or service, stop by the experts here at Eurotech Auto Service in New Brighton or Woodbury, MN or give us a call today!